ZigZapps! Leaves & Petals fusible appliqu? panels. Just cut, stitch, trim, and turn to make fusible appliqu?s for all your sewing projects! 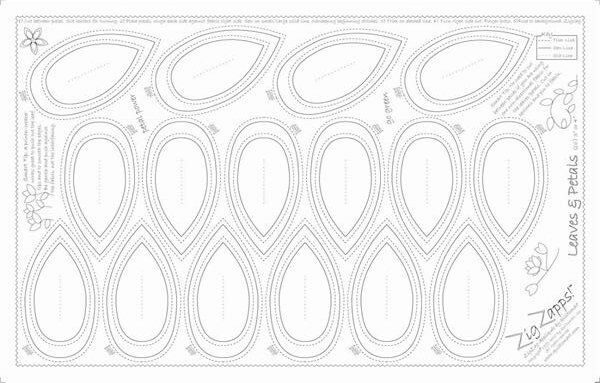 Sixteen leaves or petals per panel. Instructions and tips printed on the interfacing. Five 12" x 18" fusible interfacing panels per pack. To make the quilt pictured here, you would need 14 panels (215 leaves). Also shown is smart-ease Broadway Border.